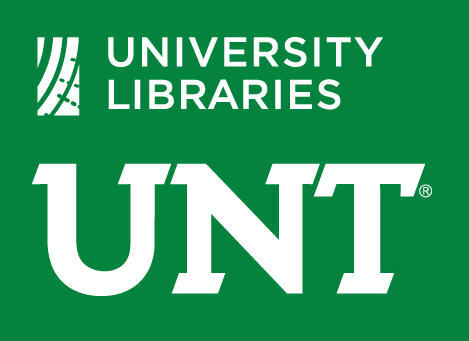 The University of North Texas Libraries has released more than 100 free e-books for those wanting to learn more about Texas and Oklahoma history. A $95,599 grant from the National Endowment for the Humanities under the Humanities Open Book Program made the release of the e-books possible. 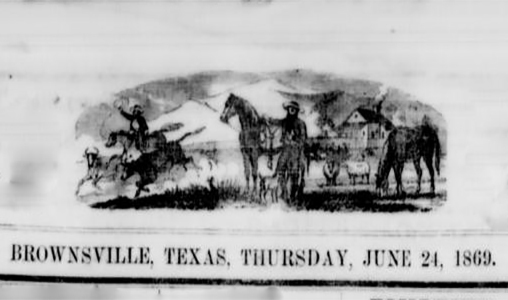 The e-books, relating to the history of Texas and… (more). We are pleased to announce the completion of a grant whose goal was to build newspaper content for counties that previously had little or no newspaper content in the Texas Digital Newspaper Program. As a result of this award, we have digitized 25,300 newspaper pages from 13 border and near-border counties, including titles published in Spanish and French as well as English. The bulk of the newspaper collection spans from 1860-1869, with the decades from 1900-1920 prominently featured, as well…. (more). Spanish Archives of LaredoThe Spanish Archives of Laredo, informally called the Laredo Archives, cover a period from 1749 to 1872 and consist of 3,452 handwritten official documents totaling 13,343 pages. 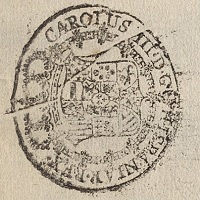 Although the first document is dated 1749, the bulk of the collection begins in 1768, with… (more). 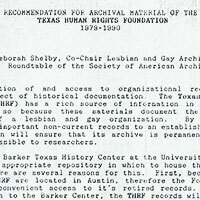 Texas Human Rights Foundation Collection (The Dallas Way)The Texas Human Rights Foundation, Inc. (THRF), formerly known as the Houston Human Rights Defense Foundation, Inc. is a nonprofit foundation established on June 6, 1978. THRF’s purpose is to end discrimination based… (more). 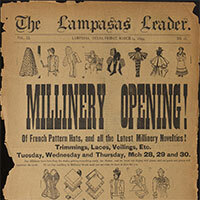 Lampasas Area Newspaper CollectionLampasas is located on the Sulphur Creek, at the junction of U.S. highways 183, 281, and 190, in south central Lampasas County. Charles A. Woolridge published the first county newspaper, the Chronicle, beginning on June 1, 1859… (more). There is sometimes a fine line between history and folklore. 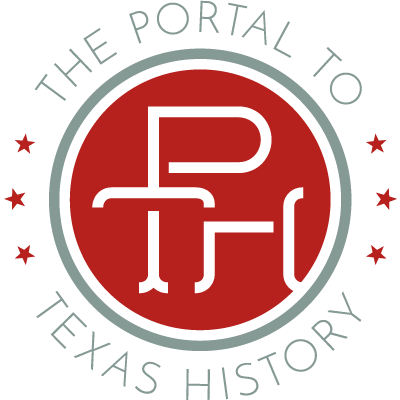 This Publication of the Texas Folklore Society tells stories about real-life characters from Texas’s history, as well as personal reflections about life from diverse perspectives throughout the last century. The first section covers legendary characters like Davy Crockett and Sam Houston, and people who were bigger or bolder… (more). 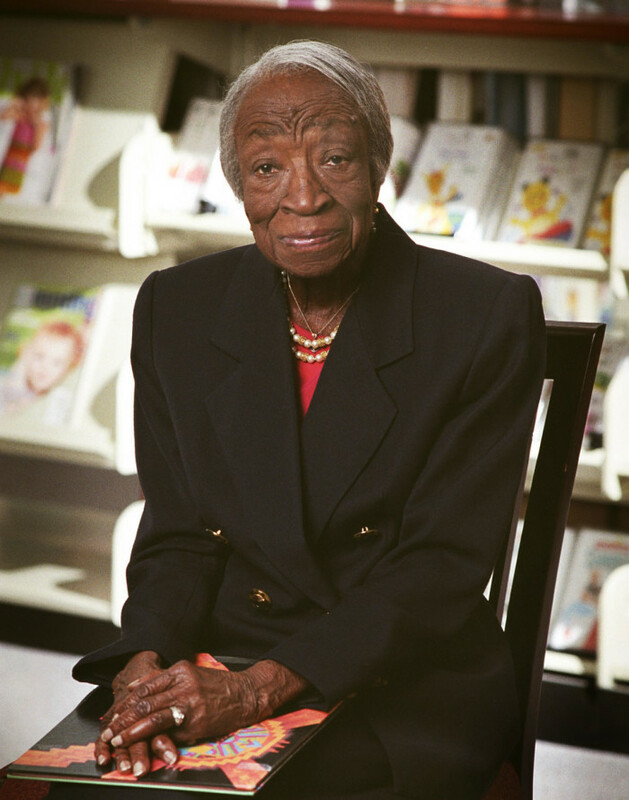 Photograph of Hazel Harvey Peace, an African-American educator and long-time Fort Worth resident. She is seated in a wooden chair, with her hands folded over a closed children’s book in her lap. Other books are visibly displayed on library shelves behind her. Read more here! Posted September 6th, 2017 by Dreanna Belden & filed under General.